We partner with our horses to create programs that foster a community environment and promote learning, inclusion, respect, and independence. 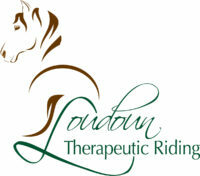 Therapeutic riding is widely recognized as beneficial for people with special needs. Specifically, it helps develop self-awareness and build self-confidence, improve concentration and increase self-discipline, strengthen and relax muscles, improve posture, while increasing core strength, balance, coordination, and joint mobility. Off the horse, our therapeutic horsemanship program also improves confidence, attitude, and self-image by mastering new skills. Working towards these goals, students improve their function in all activities of their lives. During our eight-week sessions, we implement lesson plans designed to address individual educational, emotional, recreational, social, and physical goals. For riders with cognitive or emotional challenges, the relationships formed with the horse, staff, and volunteers can lead to increased self-confidence, patience, and self-esteem. We also see improved concentration, attention to tasks, and functional life skills; all of which allows participants to enjoy a sense of freedom and independence. Please Contact Us for programming information or to apply for services by scheduling a required initial evaluation. We also offer equine-assisted activities for wounded military personnel and veterans.